-It is possible to place it on dashboard or above dashboard. Compatibility: cb radio, which placed on dashboard is compatible with every truck, which has red upgrade slots. 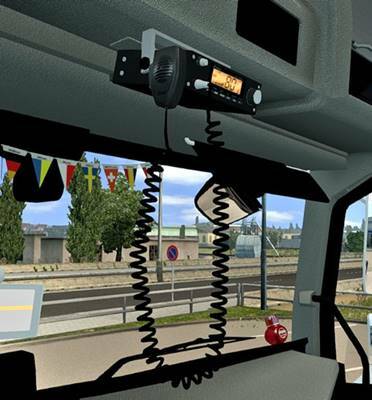 Cb radio, which placed above dashboard is compatible with all vanilla trucks and most european truck mods.